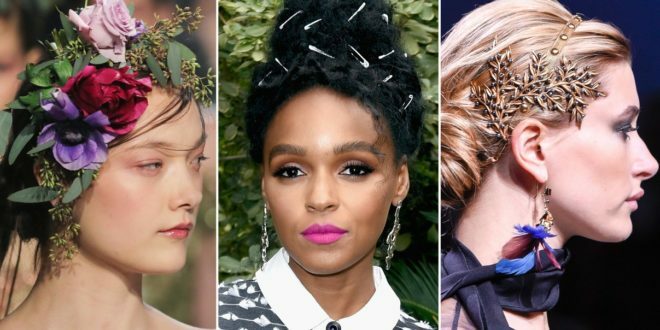 There’s nothing dainty about the new hair accessories. They’re as super-sized and big as they are are loud and glitzy. And we can’t stop looking at them. This next-level flower crown isn’t a crown at all. 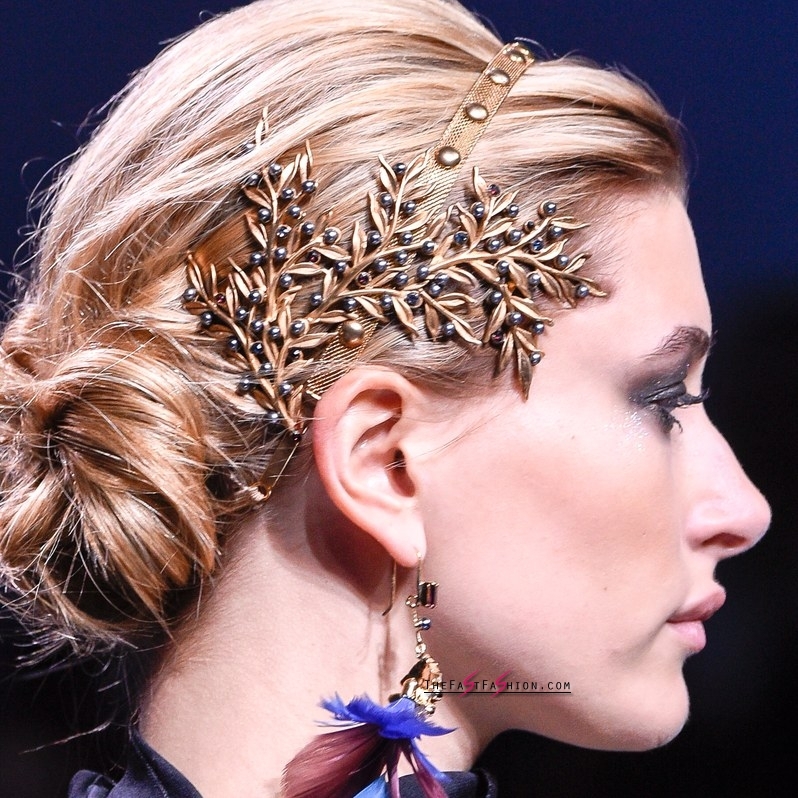 At Marchesa, hairstylist Antonio Corral Calero used a needle and thread to sew fresh blooms into the models’ hair. And it’d be as pretty on May day as it would be at your best friend’s wedding. 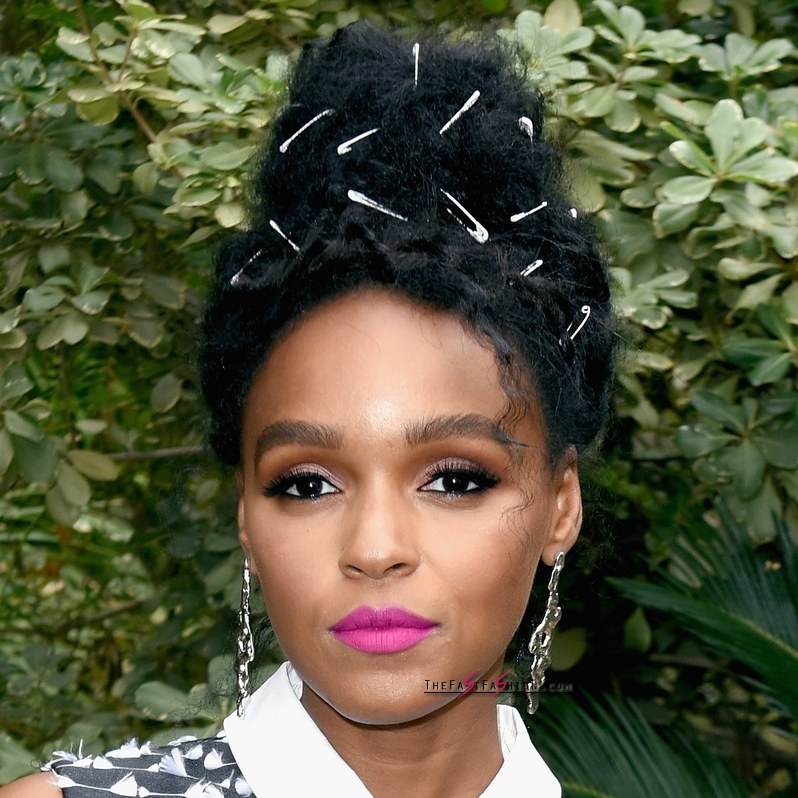 Janelle Monáe and her hairstylist Nikki Nelms are an unstoppable creative force, using everything from googly eyes to safety pins to transform a run-of-the-mill updo into a straight-up work of art. Meet the “Ghost Ballerina” — hairstylist Orlando Pita’s inspiration for the Eli Saab show. “I wanted the hair to be ethereal but still dark,” said the stylist, who scraped strands into a low chignon before topping them with a gold foliage headband. We’re thinking a boho flower field wedding, a woodland soiree, or your wildest dreams. Oh, this old thing? 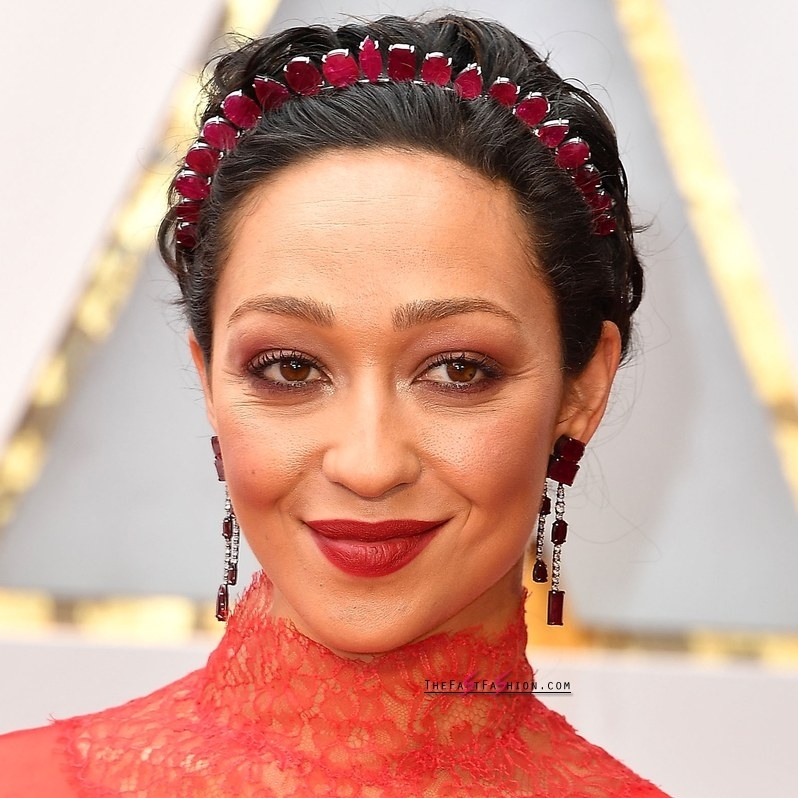 It’s just a 146-carat ruby headband. A costume jewelry doppelgänger would pack a similar — albeit less luxe — punch for a city wedding. There were feather headpieces, flower crowns, and even a unicorn horn at Maria Grazia Chiuri’s debut couture collection for Christian Dior. A little bedhead, a little bling. 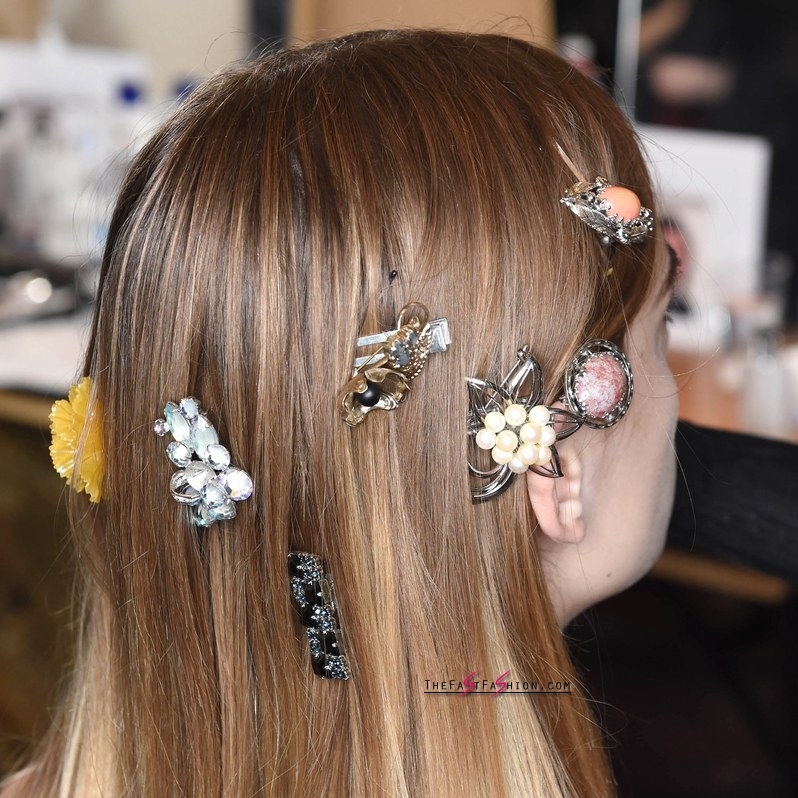 At La Perla, hairstylist Teddy Charles struck a perfect balance with rounded, brooch-like pins. And yes, that’s Kendall profile you’re peeping. Her new bob provided the perfect backdrop. Here’s a runway look you can do at home — and it starts with raiding your grandmother’s jewelry box. 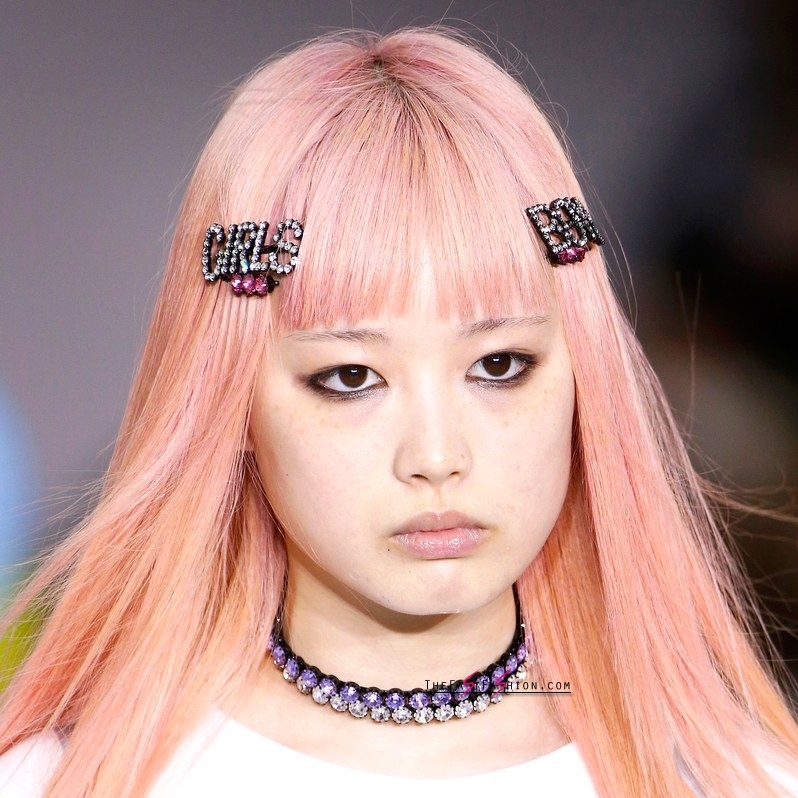 Add one sparkly brooch. And then another. And don’t stop piling them on until your hair is glistening from every angle. Slick, low, and oh-so-glamorous. Sofia Carson’s hair at the Oscars is what princess dreams — or sleek and sophisticated bridal ones — are made of. 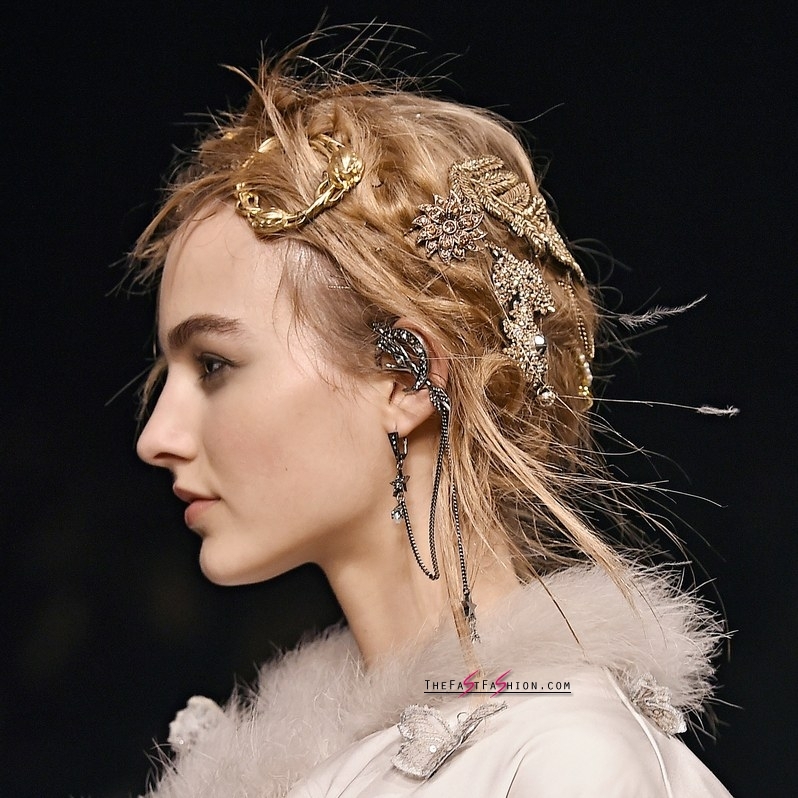 At Alexander McQueen, tangled updos provided the base for Guido’s collage of barrettes, brooches, and metal chains. Don’t wear one — wear seven. More is always merrier.